We have rescheduled the moving of our server and domain to November 7, 11pm (MT). This is in response to customer request to wait until after the SAT test date. Thanks for your input on the domain name. We will go with OnlineScoreTracker.com. Nov 7, 11pm (MT) PREP.BubbleScan.net will go offline for about 2 hours. During those 2 hours we will move all your data to OnlineScoreTracker.com. Once the move is complete, the url PREP.BubbleScan.net will point to OnlineScoreTracker.com. Which means all your existing links will still work. But we would encourage you to switch using the new OnlineScoreTracker.com domain to direct your students to their student portal. 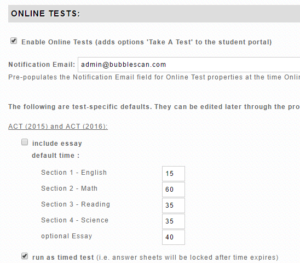 BubbleScan allows you to assign “tests” to students that they can take through their individual student portals. You can’t actually share the test with them, but you can provide an online answer sheet that is linked to a particular answer key. When the student submits their online answer sheet it is immediately graded. First, verify that online answer sheets are enabled in your account. Go to Tools – Preferences and look for a section titled ONLINE TESTS. Make sure “Enable Online Tests” is selected. If you want to change any of the default settings, this is the place and time to do it. Default settings can be changed later when you assign the actual tests. 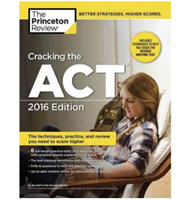 You can then assign any of the ACT, SAT, or PSAT tests that are in your KEYS library to either a student or a class. 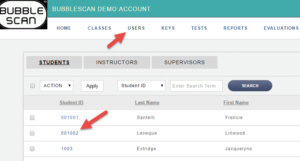 To assign an online test to a student, click on USERS and select the student you want to assign the tests to. Click on the Online Tests tab and then on ADD. Select all the tests you want to add to the student and then click SAVE. To remove tests from the student’s account, select the tests listed and then click on “Remove From Student”. To edit test settings (include/exclude essay, change times, lock the test after time expires) click on the test name, make the changes and the SAVE. To assign a test to a class, click on CLASSES and select the class you want to assign the tests to. Everything else works the same way as described above. A student will now be able to log into their student panel, click on the menu option ‘Take A Test’, select the test you have assigned to them and enter his/her responses one section at a time. The sections are graded immediately as soon as the student submits his/her answers. 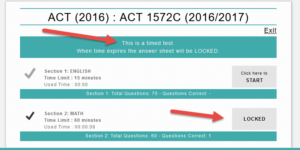 It is possible to take sections on different days and complete an entire test over time. Unless the test was set up as ‘timed’ students can even go back and edit answers as long as the complete test hasn’t been submitted. As the student submits additional sections for grading, those sections are added to the original test (i.e. under the initial test date). Once a complete test has been submitted that test becomes available to be taken again. If you enabled it and the student enters an essay through their Student Portal, you (or an instructor) can later view this essay online, leave comments and grades. This is available through the EDIT TEST screen. 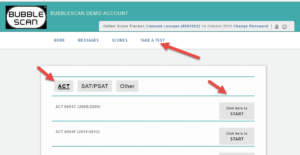 You can locate a student’s test through the TEST MENU or through the USERS menu. Click on the edit pencil next to the student’s test. Then click on ESSAY, read the student’s essay, make comments in the section called ‘Grader’s Comments’ and enter the essay scores. Tuesday, Oct 25 at 1am (MDT) we plan to move Prep.BubbleScan.net to a new server – and a new domain. We will take the system offline for about 2 hours (1-3am MDT) to move the entire database. The biggest change will be that the url to access your online account will change. We will setup a forward for Prep.BubbleScan.net to the new url so you and your students will still be able to log in using your current prep.bubblescan.com/company/xyz url. Also any embedded links on your web site will still work. But if you are hosting the login panel on your site or if you are using the API to bypass the login or create accounts programmatically, you would most likely need to change that on Oct 25th. This is a tentative plan and we are very much interested in hearing from ALL of you. Let us know that you received this information and let us know of any concerns. We understand that some of you are (rightfully) very interested in maintaining as much of a corporate identify throughout your student’s online experience as possible. By changing the url to a more generic name that is not connected to any of our domain names we think we are accomplishing this better. Please let us know your preference for the url and also if there is one option you are very much against. Aside from the very significant url change, the new web site will also receive a face lift. The basic functionality will not change and the look-and-feel will not be dramatically different either, just updated. Next week we will announce the ability for students to log in with a true USERNAME in addition to logging in with their Student ID. The Username can be changed by the student. The week after we hope to release the ability for a student to self-register. 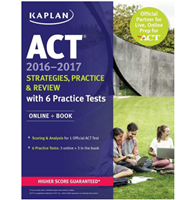 Some of you might use this feature to win new customers by offering a free test grading on your site (use the freely available official ACT practice tests 1572CPRE). A student signs up and takes the test and you have their details to offer additional services. Our re-write of WebOMR (which manages the uploading and conversion of scanned tests) is almost complete. We definitely plan to release that sometime in October – probably on the new site Oct 25. The initial release won’t change much of the current process, just makes it more robust – particularly the at times misleading incorrect statistics on the upload page. Mostly, it gives us a starting place for future enhancements. The OMR engine is getting updated to where it reads ‘the darkest bubble’. This should help eliminate the issue with stray marks and poor erasures causing us to report double marks. Better handling shrunk pages is the next issue we will address. I thank you for your continued support. It’s been wonderful to build this community of tutoring companies around BubbleScan.